Join the Nelson Center for Entrepreneurship and our esteemed judges for a night of pitching, prizes, and startup fun. 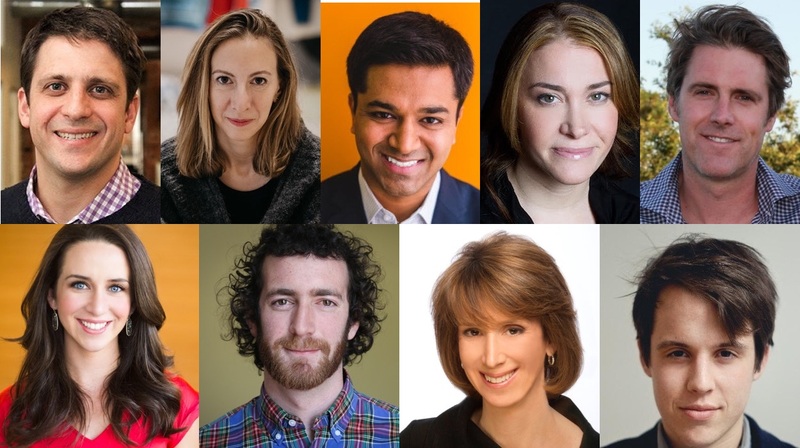 Meet entrepreneurial all-stars hand-picked to pitch to the community by a selection committee of Brown alumni founders, entrepreneurs, and industry leaders. Winners are competing for up to $50k in prize money and an all-expenses-paid VIP trip to New York City, hosted by Prominent Brown Alumni. Get a ticket here! To request special services, accommodations or assistance for this event, please contact the University Event & Conference Services Office at universityevents@brown.edu or 401-863-3100. What is the Brown Venture Prize? The Brown Venture Prize is a competition designed to empower the most advanced entrepreneurial ventures by Brown students. It supports teams who have identified a significant opportunity, and whose ventures have the potential to create “impact at scale”. The prize is agnostic with respect to what sectors or industries ventures are working in, or even whether they are commercial, social, or have blended approaches. The Brown Venture Prize is intended to student venture’s accelerate and scale those solutions. Winners will receive prize money, critical mentorship, and access to leaders in the Brown entrepreneurial community and beyond. Students apply through ufunds.brown.edu by February 7 and judges deliberate mid-February to select who moves on to pitch on March 6.